It was a wonderful and joyous day when Rubye Leola Allen Newberry was born on March 15, 1927 in Houston County, Georgia to the late Lewis and Isabella (Billings) Allen. She was the 11th of 12 children. She received her primary education in Houston County and secondary education from Hawkinsville High and Industrial School. She received nursing training from Battey State Hospital in Rome, Georgia. Mrs. Newberry had an extensive work history. She was employed as a nurse's assistance at Battey State Hospital, Housekeeper, Farm Wife, Home Economist, Seamstress, and School Bus Driver. She was hired by Houston County Board of Education in 1981 as the first full time African American female bus driver for the county. She was dearly loved by all her little riders and was known to hand out birthday and Christmas gifts to children. She retired from the school system in 1994. She was a talented seamstress and made wedding gowns, prom dresses, tuxedos, women and men suits. In 1991, she was named runner-up at Fort Valley State University for "Parent of the Year" She was soft spoken but firm, a good listener and very logical. 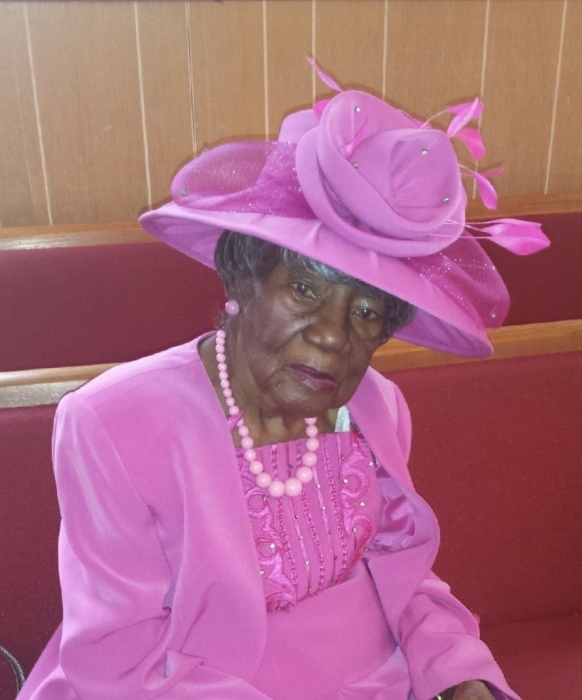 She became a member of Haynesville Baptist Church in 1956. She served as President of the Missionary Board, Chair of the Serving Committee, Secretary of the Choir, Choir Member and Church Reporter. She was also a member of the Pulaski County Community Choir where she served as Treasurer. She was a member of the Union Brothers and Sisters of Love Lodge # 9. Her gift of service to the community was impeccable. She loved to read, watch game shows, basketball, and travel. She traveled to Switzerland, Canada, Hawaii, Bahamas, and 20 states within the United States. On April 4, 2019, Rubye Leola Allen Newberry peacefully transitioned to be with God. She lived her life in service to God and the community. She was preceded in death by her husband Charlie Christopher Columbus Newberry, parents Lewis and Isabella Allen and eleven siblings Johnny, Sadie, Bytha, AZ, Minnie, Sarah, Robert, Earl, Sally, Estelle, and Julius.